SUMMER MADNESS has arrived at Mao at Home (Stillorgan)! SUMMER MADNESS has arrived at Mao at Home! Don’t run…don’t hide…just tuk in! Mao have some fantastic deals on their delicious meals this summer with ALL main courses for just €9.95! Yes all day, every day! Mao’s extensive range of curries, fillet beef stir fries & Mao Classics will make your mouth water. Their creative chefs have been marrying the right flavours & freshest ingredients together for over 20 years to ensure that each dish delivers the authentic taste of Asia. Mao goodness, every time. Also, don’t worry if you are looking for a light summer option, Mao’s vegan Asian Green Extreme is here! Packed full of flavour, 100% vegan friendly AND oh Mao goodness It’s only 450 calories. A splendid mix of vegetables and Asian greens wok-fried with vegetable oyster and soy sauce, broccoli, kale, baby corn, onion and carrots. 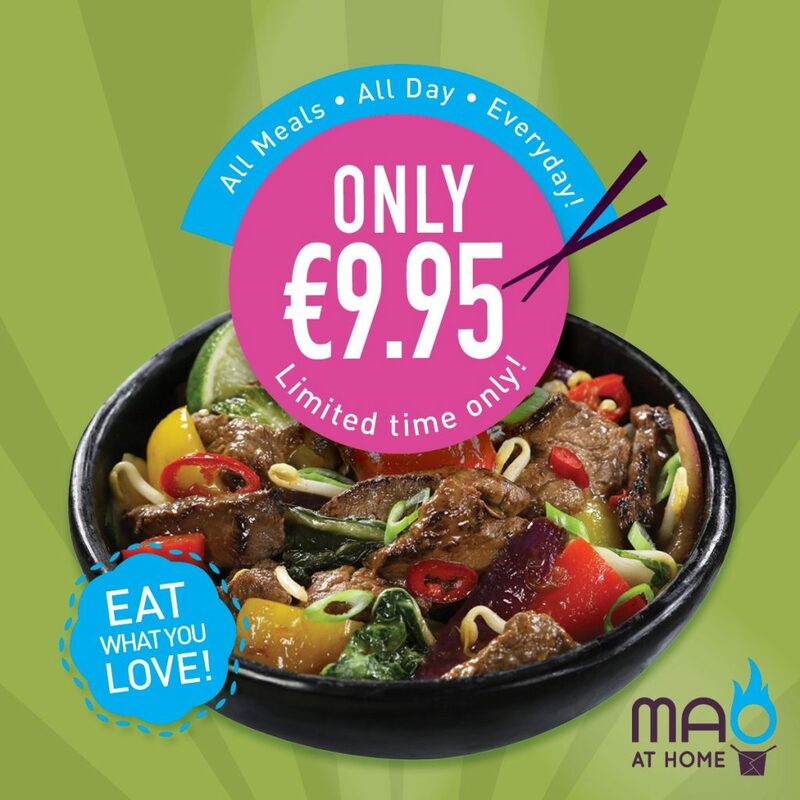 Mao at Home’s Summer Madness, ALL mains for only €9.95 offer is available for delivery or collection all day, every day until 26th of August.